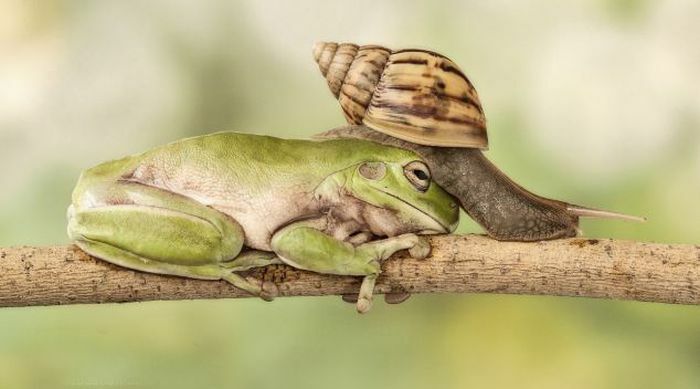 Incredible moment. 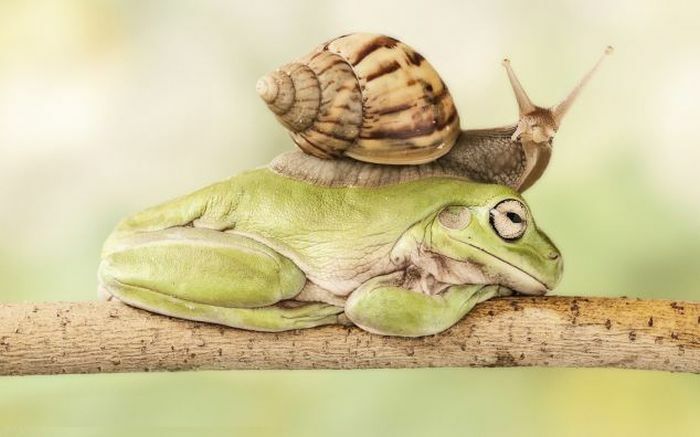 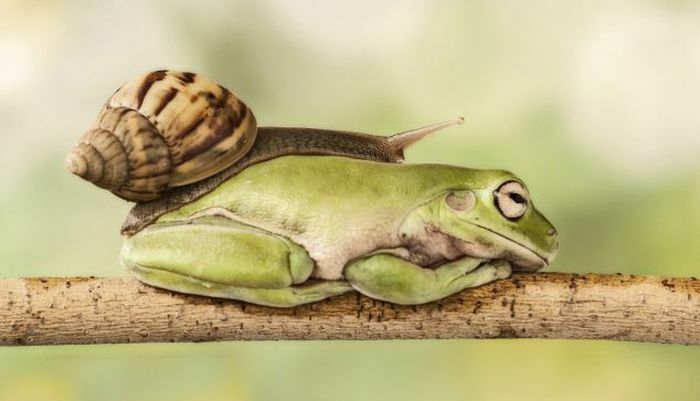 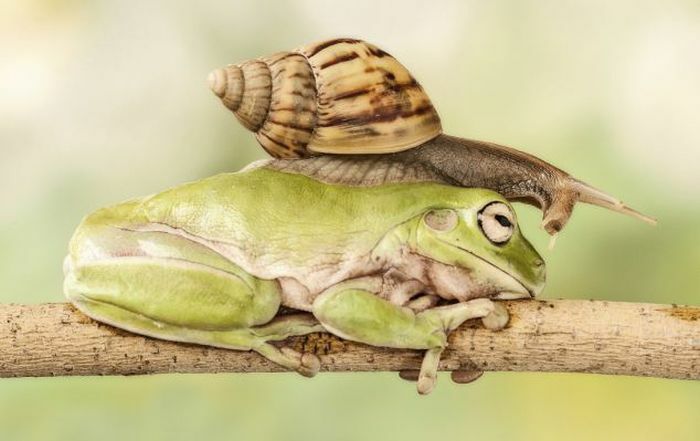 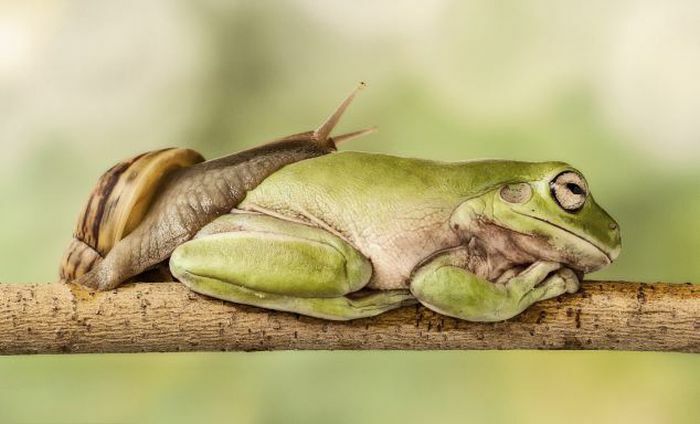 A snail makes its way over the back of a sleeping frog. 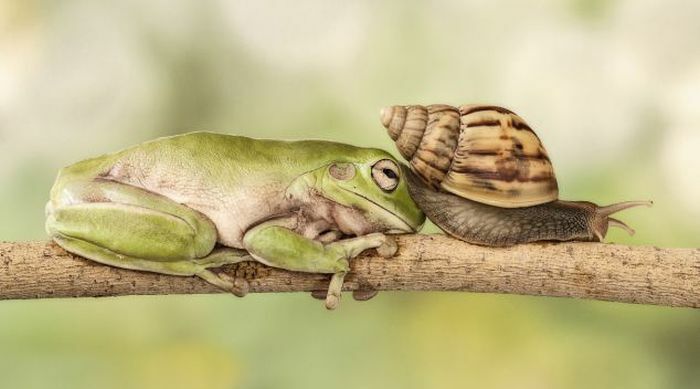 Maybe he knows, but he just doesn't care.